On Tuesday 5th of June I attended the Summer Ladies Lunch in support of the Nadezda Charitable Foundation. This wonderful organisation aims to help vulnerable children in Russia, by providing medical help to those with illness and disabilities, as well as financial support for gifted children. The committee for the london summer ladies lunch in support of the Nadezda foundation. I feel so lucky to have been on the Committee of dedicated women, including founder Nadezda Trokhan-Abela, who made this wonderful event come to life at Morton's Club in Mayfair! I was responsible, with the rest of the committee, for organising prizes and sponsors for the event, as well as selling tickets and promoting this worthy cause. We couldn't have achieved this without the support of our main partner, Moussaieff Jewellery, who also donated an amazing brooch for one of our prizes! We are so thankful for their support and that of all our other sponsors. We also had some great prized donated by Dragons of Walton Street, S Dress Fashion, Lily Advisory, Marina Sandoval, James Bignel Photography, East India Company, Amishi London and Butterfly Domes by Charlotte Proudlove. This fantastic linocut Trying on Hats, was kindly donated by artist Anita Klein through Gallery Elena Shchukina. The event was well attended with Tamara Beckwith, Marie Riboud-Seydoux, Ewa Kozieja, Aneta Gunn, Iza Minkiewicz and Evekyne Genta supporting our cause annd having fun. All the ladies who attended were lucky enough to walk away with fantastic goodie bags supplied by Amouage, who are an international luxury fragrance brand and Spring Green London, who create plant based foods for daily delivery. Not only did we have great fun on the day but also we raised a total of £29,120.00 for the Foundation (that's 2,500,000 Roubles!) This money will greatly help the foundation continue with the invaluable work it does and the support it offers to so many children. Thank you to everyone who attended and supported this great cause! The raffle was great fun! This Friday 4th May, entries open for The Holly Bush Emerging Woman Painter Prize 2018. I’m pleased to say that I have been selected as a judge for this year’s competition. Twenty-one finalists will be chosen to appear at an exhibition at Burgh House, in Hampstead, this July. From these, one artist will be chosen to receive the £1000 first prize from the competition’s sponsor, The Holly Bush, a charming centuries-old pub in the heart of historic Hampstead, and a place to exhibit with the prestigious Flux Exhibition. The Cass Art runner up prize will be £250. Supporting and celebrating female artists has always been an interest of mine, and this initiative is part of a wider ambition intended to do just that. The Holly Bush Emerging Woman Painter Prize is a part of the Women in Art project run by Sue Ecclestone and the Ecclestone Art Agency. This project helps female artists in the early stages of their artistic careers, no matter what phase they are at in their life, and whatever the artistic level at which they are working. It hopes to celebrate the success and competence of women artists, while acknowledging the issues that women face in their careers and show how creative associations can have a useful and positive impact on their careers and lives more broadly. These initiatives also aim to cultivate a positive view of women in art, that both looks back at what has been achieved to date and forward to what further accomplishments we can set our sights on. The Holly Bush Prize is aimed at artists seeking to extend their artistic practice and develop their careers beyond the studio. An award will be given to a female painter who has demonstrated exceptional potential to become an established professional artist. That potential should be illustrated through their painting skills, their creativity and their ambition. The second prize is for another artist who demonstrates exceptional talent. The winner would be expected to demonstrate how they have used the prize money to further their artistic practice and their professional development. This may be in the form of producing a new body of work, exploring a new collaboration, expanding professional skills or a combination of these. Further details can be found on the Ecclestone Art Agency website. Last Tuesday, I was very fortunate to be invited to attend the 30th anniversary Spring Ladies Lunch and Fashion Show in support of Action for Children. The afternoon was held at Jumeirah Carlton Tower with entertainment including a fashion show hosted by Harvey Nichols and a fantastic live prize auction. The event raised £112,000 which will go towards supporting some of the most disadvantaged children in the UK today. It also marked a significant milestone for the charity, raising £1 million since the first lunch took place in 1989. This year’s total was the most that has ever been raised from this wonderful annual event and I’m very proud to have been involved. More than 300 guests enjoyed a champagne reception against the backdrop of a beautiful ballroom overlooking Cadogan Square. We tucked into a delicious lunch and enjoyed exclusive previews of Harvey Nichols’ newest spring-summer collections. However, the glitz and glamour were merely there as a pretext to highlight a very worthy cause and the event proved to be an excellent opportunity for people to learn about the incredible work that Action for Children does, day in, day out. This is a charity close to my heart; as a mother, I believe in the importance of providing children with the chance to grow up in a safe, happy and loving environment with all the opportunities available to achieving their full potential. The charity was founded on the belief that all children should have the opportunity to get a head start in life, regardless of their backgrounds or the circumstances in which they are born. They are an extraordinary organisation, who, for the last 145 years, have been helping the UK’s most disadvantaged and vulnerable young people and their families. Their various initiatives helped more than 370,000 children and their families in 2017 alone. Previously, Gallery Elena Shchukina has hosted events in aid of the charity, the last being a Christmas tea party and raffle in 2016 before I left for maternity leave. Guests were encouraged to bring toys and goodies which Action for Children then donated to children across the country as Christmas presents. Last week’s event has spurred me on to start planning our next as soon as possible, so watch this space. To find out more about Action for Children and the fantastic work they do, click here. I’m very pleased that our latest exhibition, FAIR PLAY, has just opened – and will be on until 24th March. It is the inaugural exhibition by Women in Art Fair (WIAF), a new initiative dedicated to redressing the gender imbalance in the art industry. We are proud to be showcasing the work of twelve female artists: Helen Benigson, Lydia Brockless, Emma Corrall, Maisie Cousins, Jane Hayes Greenwood, Amanda Horowitz, Anita Klein, Sara Pope, Alicia Reyes Mcnamara, Cherelle Sappleton, Rebecca Scheinberg, and Jaeyeon Yoo. The aim of WIAF is to create opportunities for up and coming female artists to demonstrate their unique visions and talents in the context of the evolving global discussion about gender, sexuality and culture. Needless to say, this is a subject that has very much captured the world’s attention in the last year. Across almost every industry, people are asking questions about what is right and fair when it comes to their gender balances and the art world is no exception.. In art, it would be easy to think that the gender imbalance is less obvious than it might be in other industries. After all, it is an industry concerned with objects and images. Sadly however, there continues to exist an imbalance in the art world for the same reasons as everywhere else. No matter how one describes oneself, gender plays a big part in everyone’s life and their sense of identity. Art is an expression of a person’s unique take on life, and how we feel about gender has an effect on the way in which the world appears to us, whether consciously or subconsciously. As the first in a series of exhibitions for the WIAF cause, FAIR PLAY represents the first step towards its ambition of creating an all-female art fair in the UK. I’m hugely honoured to be the first gallerist to put on an exhibition in the name of WIAF, an initiative whose ambitions and values I deeply share and am eager to promote. I hope that you will take the time to come and see their works - and explore this complex but fascinating question with us. I recently attended some exhibitions that have had me thinking about the next generation of artists. ‘New Contemporaries’ is the leading organisation supporting emergent art practice across UK art schools and is currently supported by Bloomberg Philanthropies. 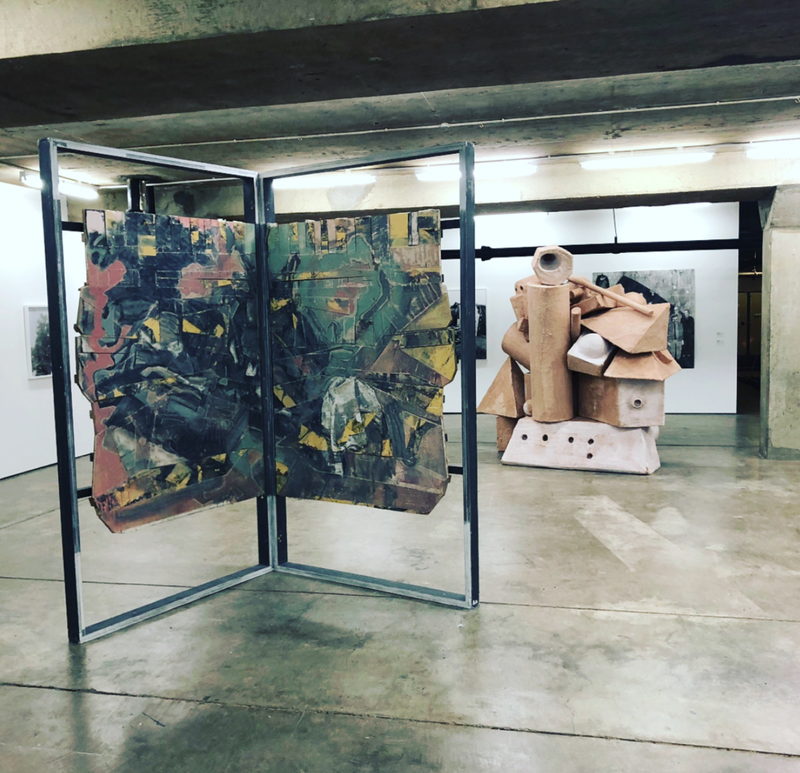 Its annual exhibition showcases artwork by recent graduates of art courses from all over the country; this year’s exhibition opened on the 26th January at an artist-run project space known as ‘Block 336’ in Brixton. Since 1949, the organisation has acted as an important early showcase for current and recent UK art school graduates, and its list of alumni speaks for itself; Damien Hirst, David Hockney, Anish Kapoor and Grayson Perry to name just a few. This year 47 young artists are exhibiting a diverse collection of work, including social media friendly computer programs and cartoon strip paintings. As a gallerist it is exciting to observe the thoughts and feelings of a younger generation being expressed through art. It is often the most direct way for different generations to communicate. I also attended an exhibition at Coutts & Co. that featured recent winners of the HIX Award, which it has sponsored for the past few years. 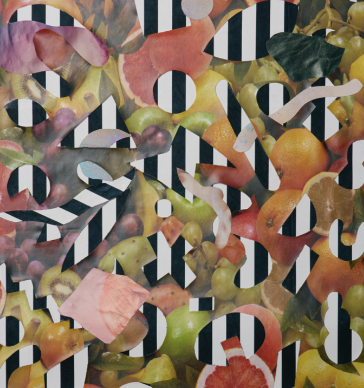 Now in its 6th year, the award gives both current students and new graduates the opportunity to exhibit in a group show, hosted by HIX ART in Shoreditch. Back at my own gallery, I am very excited for our next project, Fair Play; the inaugural exhibition of Women in Art Fair, which will explore notions of ‘femininity’ through the work of twelve female artists. The Women in Art Fair is a new initiative dedicated to redressing the gender imbalance in the art industry. The organisation aims to create a positive global platform from which female artists are given an opportunity to show their work. At Fair Play, each artist offers a unique perspective on the female experience and what it means to be a woman artist today. My gallery will be showcasing the work of Helen Benigson, Lydia Brockless, Emma Corrall, Maisie Cousins, Jane Hayes Greenwood, Amanda Horowitz, Anita Klein, Sara Pope, Alicia Reyes Mcnamara, Cherelle Sappleton, Rebecca Scheinberg, and Jaeyeon Yoo. There’s much to look forward to in 2018. I started the year attending the Association of Women Art Dealers (AWAD) meeting, in which we discussed exciting upcoming projects and opportunities. AWAD is the international network of women art dealers that facilitates business and collaborations between art dealers, gallerists and art consultants. We’re always on the lookout for new ideas and members. The association regularly meets each month in London or New York, though since 2016, has been piloting a Global Chapter aimed at those who are unable to attend. The initiative is an ideal reflection my own work, in which I’ve always sought to find original ways of connecting the art world’s core with the fringes that might otherwise go unnoticed. In this respect I’m especially excited about our latest exhibition, which opened yesterday. Lulu Manasseh, a British artist/maker living in London, was the winner of an online competition we held last year as part of PROJECT2017. Our chosen theme was ‘change and transformation’ and we attracted many artists whose work, through the formal language of abstraction, expressed the transformative processes and aims that lead to its making. We narrowed down the applicants to 12 international contemporary artists. Part of PROJECT2017 involved thinking of alternative ways in which galleries might interact with artists and audiences alike. And so, we chose to stage an online competition, giving people the chance to vote for their favourite, with the winner being granted a solo exhibition at the gallery this year. By opening the gallery to the online world we’re aiming to diversify the range of ideas coming through our existing networks. I wasn’t surprised that Lulu’s work was so popular with our voters. With a focus on process, intended both as the physical practice of building an artwork and her labour of self-discovery, her exhibition; ‘Locating One Self’ guides the visitor through an inspirational journey of shifting views. To launch the exhibition, the gallery held a private viewing on Wednesday, hosted in aid of the Nadezda Charitable Foundation. The evening included a successful auction, featuring Lulu’s work and a VIP dinner at UMU Restaurant among the prizes; with 10 per cent of the generous proceeds going towards the Foundation’s work helping vulnerable children across Russia. Thank you to all those involved who made it an enjoyable evening and helped raise considerable money for such a good cause. The exhibition runs until 2nd March, we hope to see you there! 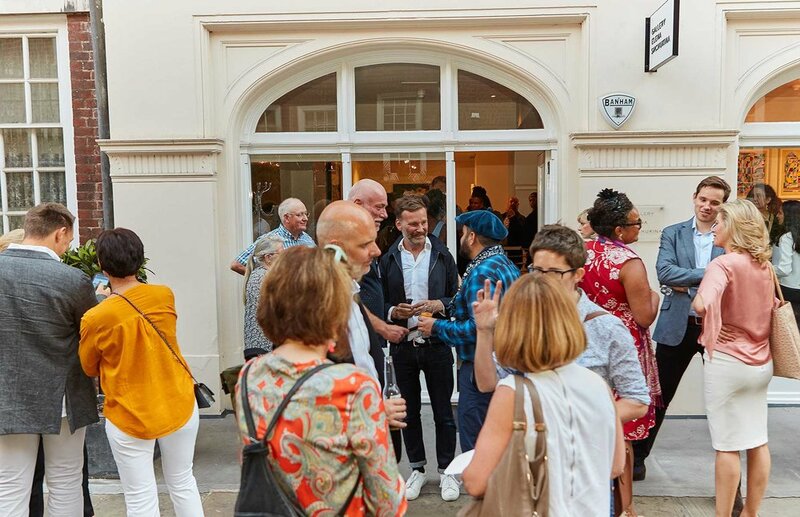 On Wednesday 14th June 2017, we were delighted to hold the private view of our new solo exhibition, Sanctuary, featuring the work of artist Hormazd Narielwalla. We welcomed many art enthusiasts for this special event and I must say that the gallery was particularlybusy on that sunny evening. How exciting it was to speak to our guests, all eager to learn more about Hormazd Narielwalla’s intriguing and beautiful artworks. Behind the colourful and incisive geometric patterns of Hormazd Narielwalla’s artwork lies a very interesting and reflective artistic process. The artist uses and revitalises tailoring patterns as unique paper collages. For Sanctuary, the artist predominantly used French antique sewing patterns as the starting point for each work. By cutting and collating coloured papers on these long forgotten tailoring patterns, the artist imbues them with vitality, transforming his art into a real meditation on the human condition and reinterpretation of the human form. We had the pleasure of welcoming Hormazd Narielwalla to the private view, and he had an opportunity to speak to our assembled guests. After expressing his gratitude for the widespread support he has been receiving for the launch of his exhibition, Hormazd emphasised what were, to him, the spirit and goal of the exhibition. 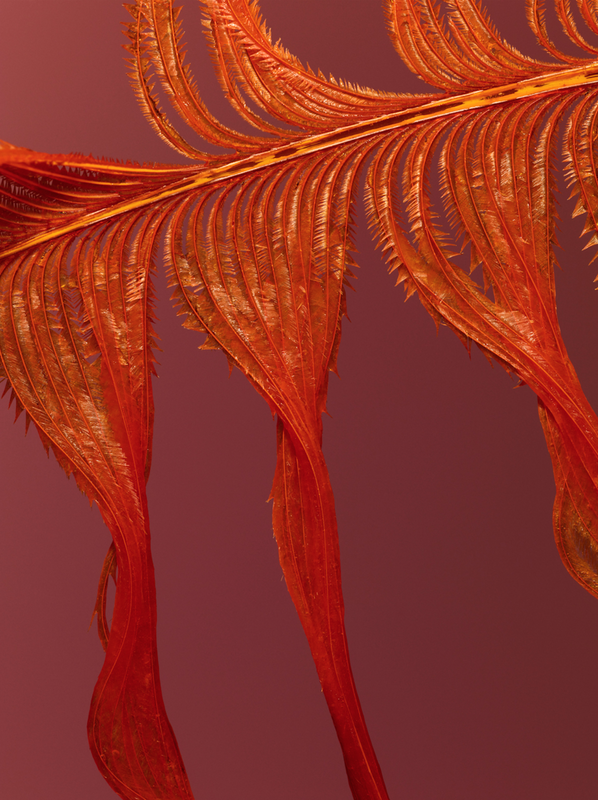 Celebrating Summer, life, and beauty is the purpose of this exhibition. This was particularly apt for that evening, as we enjoyed the sunshine, stimulating conversation and the beautiful works on display. In Hormazd’s work, the natural world symbolises life and celebrates human creation. The notion of a garden is an infinite source of inspiration for the artist who sees it as a metaphor for society. The floral themes and magic forests recreated in the works of Sanctuary represent refuges from the chaos of our fast-paced lives, and open up possibilities for contemplation and reflection. Sanctuary, just as each one of his exhibitions, also bears a personal meaning for Hormazd. Through his exhibitions, he creates what he calls “his own sanctuary.” His exhibitions are the reservoir of his own memories, where he can trace back his experiences and past journeys. As such, I was personally touched by Hormazd’s message and the conclusion of his words to the assembled guests: everyone needs to create his or her own sanctuary, where life can be celebrated. Sanctuary will be running until 14th July. In our ever-evolving world where the art industry is becoming increasingly competitive and the digital world overwhelming our daily lives, how is the relationship between galleries and artists changing? How can artists make the most of new opportunities and use those resources to promote their work? I am delighted to be introducing PROJECT 2017, the first edition of a new series of curated art fairs offering a platform for exceptionally talented contemporary artists to showcase their work and present it directly to the public. On 25th April 2017, we were very pleased to welcome public speaking coach Matt Pocock for a talk on voice and gender at Gallery Elena Shchukina. Matt led a lively, interactive session which was both fun and informative. Matt broke down our perceptions of vocal qualities and asked us to think about whether these were generally perceived as masculine or feminine. The initial reaction is that loud, deep, authoritative voices are “masculine” while soft, high-pitched, breathy voices are “feminine”. In the workplace, this can create problems, as the masculine qualities are ascribed to leaders, while feminine voices can get lost. Matt told us about the physical differences between men and women’s voices. Men’s larynges can be 40% larger than women’s, meaning women have to work much harder to create the same power and volume. But despite the physical differences, there are ways in which both sexes can project confidence, power and authority. In just a few steps, everyone can add positive qualities to their voices. Varying pitch, volume, speed and twang can make it more likely that people will listen to you. Techniques include varying the pitch of your voice to sound more engaging and creative during presentations, or speaking more slowly and deliberately to project the confidence ascribed to natural leaders. An important issue Matt tackled was nerves. So many of us fear speaking in public, we physically tense up and our voices become small and strained. Becoming aware of this problem is the first step towards solving it. Practicing relaxation and speaking exercises, and working with a coach like Matt, will make an enormous difference to how you sound, and in turn will be a huge confidence boost. Last month, we had the pleasure of listening to the inspiring talk entitled “Are we there yet?” by eminent art academic Dr. Anne Robinson, as she shared with us her reflections on Amélie Ducommun’s series Sensitive Water Mapping, now on show at the gallery. Dr. Anne Robinson’s work explores the connections between time passing and painting, echoing Amélie Ducommun’s approach to painting as she seeks to picture her own memory of felt experience and the traces of time passing contained in landscape. The resonance between both artists’ work fostered the audience’s engagement with the paintings surrounding them in the gallery and provided the opportunity for an interactive talk and an inspirational exchange of ideas, perceptions and reactions. In the same way as one escapes reality when contemplating the reflecting surfaces of water, Amélie Ducommun’s work prompts the viewer’s thoughts to drift and imagination to be stimulated. As her paintings explore footprints of water and stone, the viewer falls, drowns and loses track of time for the space of a few moments. The rich, deep and layered paint surfaces, constantly revised and reworked by the artist convey a certain sense of time slipping and sliding. As such, the more the spectator looks at one of Amélie Ducommun’s paintings, the more they discover and is able to re-experience traces of the artist’s own journey. As Dr Robinson noted, quoting French philosopher Lyotard, Amélie Ducommun’s paintings could be described as “figural”: while these are not illustrative or narrative, they use references from the real world and disrupt reality in a way that grants them the power to affect us emotionally. Distancing themselves from a Cartesian vision of the world, Amélie Ducommun’s paintings are always in motion and suspension. As different elements from reality emerge and appear when contemplating one of her paintings, so do places of memories and the viewer’s own interpretation and internal subjectivity. During the Q&A session that followed the talk, a very interesting point of discussion raised was the prominence of the colour white across Amélie Ducommun’s work. While for some, the use of this colour was aimed at creating opacity and a sense of bluriness, for others, it triggered childhood memories. A very touching conclusion to the event was a participant’s reflection on how the combination of the colour white and the aquatic motifs reminded her of her childhood spent by the seaside, where she would often walk into the sea barefoot and contemplate her reflection through the foam of the water. The annual Ladies Spring Lunch for Action for Children took place on 7th March this year at the Mandarin Oriental in London. As a member of the event committee, I was very proud that over 200 guests attended the lunch to honour the excellent work done by the charity. A champagne reception was held in the beautifully decorated venue where the flowers and colourful artwork were much admired by the guests. After the champagne reception came a delicious lunch organised in the magnificent ballroom of the hotel, followed by an auction hosted by Gaby Roslin. 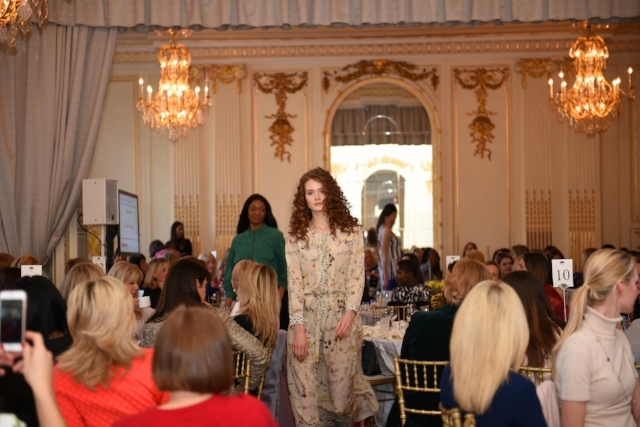 We wrapped up the event with a stunning fashion show, presented by our sponsor House of Fraser. Glamour and glitz were all to serve an important cause. Action for Children works to support disadvantaged children across the UK and is, in my opinion, one of the most transparent and effective charities to do so. The organisation offers support not only to children and young people by helping them get into education, training and employment, but also to parents by delivering expert advice and parenting programmes. This year’s Spring Lunch was highly successful. More than £84,000 was raised for Action for Children this year! Thank you to everyone who supported, attended, participated and donated - your help is greatly appreciated, and I hope to see you again at the next event! Yet, for many young people, the holiday season can be a tough time. It is heartbreaking to know that in the UK, some 120,000 children will be homeless this Christmas. At a time like this, it is difficult not to appreciate the work of a charity close to my heart: Action for Children, an exceptional organisation dedicated to helping disadvantaged children in the UK. I am a proud member of Action for Children fundraising committee, and on 8th December, I was delighted to host a special event at the Gallery to promote their valuable work. Armed with festive decorations and with the help of our sponsor Sybarite Jewellery, we transformed the gallery in a Winter Wonderland – adorned trees, fairy light, beautiful displays of sparkling jewellery, and a showcase of drawings about hope and peace by the children the charity works with. To get into the Christmas spirit of giving and sharing with others, we encouraged our guests to bring toys, which Action for Children would then donate as Christmas gifts. We were humbled by the amazing response; it was wonderful to see a huge mound of toys at the end of the night! We are really grateful to everyone who took part in this – thanks to you, many more children will find presents under the Christmas tree this year. The main purpose of the evening was to raise awareness of Action for Children and their exciting upcoming projects, ahead of their annual Spring Lunch fundraiser in March. The highlight of the evening was our raffle, with two lucky winners taking home a pair of diamond earrings donated by Sybarite, and an artwork from my private collection. I want to extend a special thank you to Ellen Brooks, the charity’s Senior Special Events and Major Donor Fundraiser; and to Sybarite Jewellery and Connexus Academic Advisors, our generous sponsors, without whom this wonderful event would not have been possible. I was thrilled to be interviewed by LUXURE magazine for their latest issue, "Beauty". We talked about my love of abstraction and technical innovation, working with international artists, and the spirt of inclusiveness and accessibility that makes Gallery Elena Shchukina "one of the most enticing spaces to discover the best work from across the globe". Latin America’s contemporary art scene has always been a thriving palate of bustling creativity – a plethora of artistic traditions, interwoven into a colourful tapestry, as vibrant as the historical and natural landscape that has shaped it. I have always had a profound interest in the unique visual culture of Latin America – something that I am now increasingly trying to explore through my Gallery’s work. 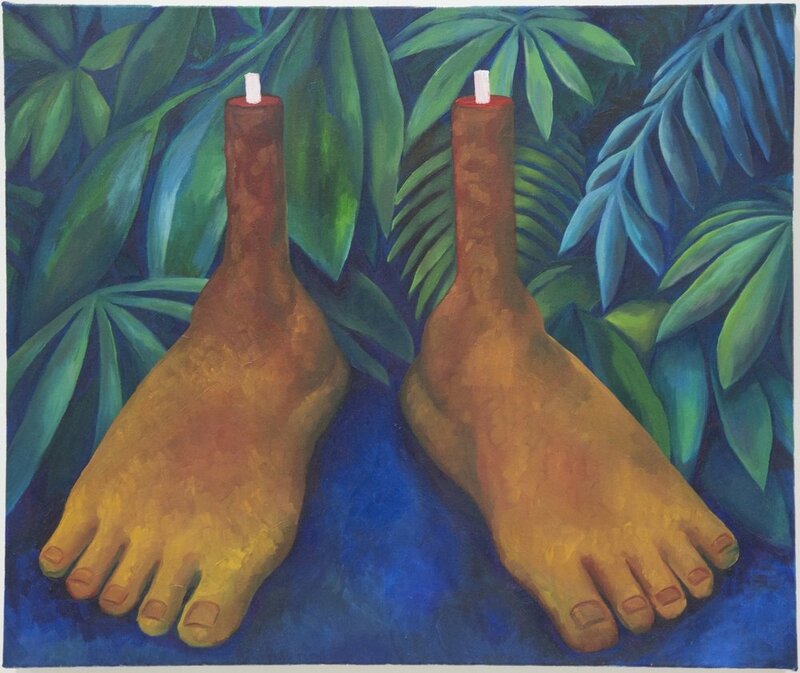 This autumn – coinciding with the President of Colombia’ State visit to the UK – we are delighted to be exhibiting the works of the renowned Colombian artist Mario Vélez. Based in Medellin, Mario’s art has been showcased extensively across four continents, though this has been his first exhibition in the UK. Drawing on Colombia’s distinctive artistic heritage, Mario’s flair for the abstract presents us with a perfect world of serene harmony, where time and space elide and nature is so near. In recent years, Colombia has become an increasingly prominent standard-bearer of Latin American art on the world stage – an abundant haven of fresh ideas and innovative techniques. This week, in fact, my Gallery will be hosting a lecture by the art historian and curator Rodrigo Orrantia, specifically focussed on the role of painting in the contemporary art of Colombia. However, aside from Colombia, at least two other centres of gravity have traditionally dominated Latin American visual culture – namely Mexico and Brazil. Even between these three countries, the wealth of colourful idiosyncrasies that inspire their respective artistic traditions should be an endless subject of wonder for any art aficionado. Having co-authored definitive books on the contemporary art scenes of all three countries, Catherine Petitgas is an ideal person to turn to for guidance in this field. As a collector and academic, Catherine has been at the forefront of promoting contemporary Latin American art in the UK for the last twenty years. Earlier in the summer, I had the pleasure of attending an exclusive private view at her home in London. It was fascinating to hear Catherine’s perspective on the modern masters of Brazil, as she guided us around her personal collection of Helio Oiticica, Lygia Clark and Beatriz Milhazes. For Catherine, her deep-seated passion for Latin American art draws her back to a particular place and moment in her life: Mexico City in the 1980s. Disparity at every corner, the wealthy and the poor, the luxurious and the precarious: noise, music, colour and darkness – a myriad contradictions, all set against the endless panorama of a sweltering, restless metropolis. This sort of experience should remind us all of the purpose and power of art, as a bridging point between real life and imagination. From time to time, we all come across a defining moment in our lives, when a unique and circumstantial way of interpreting our surroundings suddenly becomes second nature to us, and, from then on, forever changes the way we see the world. For over 120 years, the Venice Biennale has been a spectacle of cutting-edge creativity – a grandiose international affair, steeped in history, yet always defined by the ever-evolving novelty of contemporary art. Every two years, the global art community descends upon the City of Masks. There, amidst the canals and narrow streets, a spectacular array of national pavilions is assembled – paradigms of artistic innovation, each one of them reflecting the distinct visual cultures of their eclectic origins. Considering the secrecy in which the exhibitions are shrouded prior to their Venice debuts, it was a real privilege to attend a special preview of works by Britain's ambassador to the 2017 Biennale, the acclaimed sculptor Phyllida Barlow. The exclusive tour – led by Serpentine curator Rebecca Lewin – took us to the heart of Phyllida’s London studio, in amidst her magnificent creations, which rise up erratically from floor to ceiling in a mountainous, eccentric display. Phyllida is renowned for her imaginative use of diverse, inexpensive materials – cardboard, plywood and polystyrene all come together in haphazard harmony. Seeing these unfinished sculptural pieces as they are being put together, you really gain a unique appreciation of the creative process at work. Phyllida told us that, from the outset, she does not always know how each sculpture will ultimately turn out – it is a voyage of discovery, which reveals itself only gradually. Her works convey a visual aura of instability. It is really no accident that the assembly stage itself can, at times, be quite precarious. Every once in a while, the entire structure might collapse before her, leaving Phyllida with no choice but to start over from scratch. That does not matter, she explains. It is all part of the organic process of creation. It is easy to see why Phyllida’s work has attracted such critical acclaim. Interestingly though, her international renown has come about relatively recently. Phyllida had previously spent over 40 years of her distinguished career as a professor, teaching at London’s Slade School of Fine Art. Her nomination as Britain’s choice for the 2017 Biennale comes just months after she was awarded a CBE for her services to the arts. Having had the pleasure of witnessing the fruits of Phyllida’s creative genius in the making, I can safely say that visitors to the British Pavilion in Venice next year will not be disappointed. Last week I had the pleasure of joining my friend Theo Fennell for a charity fundraising dinner, in honour of the Elton John AIDS Foundation. One of Britain’s most iconic and imaginative jewellers, Theo Fennell is widely admired for his ability to craft the wildest and most whimsical of themes into pieces of extraordinary beauty. His remarkable creations attracted Elton John’s keen eye for artistic originality many years ago – Sir Elton has remained a devoted patron of Theo’s work ever since. This fundraising event for Sir Elton’s Foundation – of which both Theo and his wife Louise are Patrons – was held at Theo Fennell’s flagship store on Fulham Road. It was refreshing to meet some of the Foundation’s directors and learn of the sincere humanity and optimism that underlies their commitment to the cause. After the dinner they introduced a talk, explaining how the Foundation’s incredible work is helping hundreds of thousands of people across the world. The key message of Sir Elton’s initiative is compassion – the need to treat those afflicted by HIV/AIDS with kindness and dignity, free from judgement and discrimination. While scientific discoveries are constantly moving forward, medical treatment needs to go hand-in-hand with promoting awareness and eliminating prejudice – which is exactly what the Foundation has been fighting for since its inception in 1992. There is no better way to mark the onset of spring than with an evening of music. To my delight, I was recently invited to a magnificent charity concert at the Residence of the Russian Ambassador, in honour of the Nadezda children’s fund. The star of the show was the 14-year-old Swedish-born violinist Daniel Lozakovitj. A truly prodigious musician, Daniel took up the violin at the age of six and was already playing in Maestro Vladimir Spivakov’s Moscow Virtuosi Orchestra only three years later. To have achieved this level of mastery at such a young age is quite extraordinary. Last night, his talent utterly captivated the audience. I was particularly taken by Daniel’s heartfelt rendition of Sarasate’s Carmen Fantasy, a work based on themes from Bizet's opera. The main purpose of the evening was to raise funds for the Nadezda children’s charity in Russia, for whom I recently had the pleasure of hosting a gala at the Gallery. One of the fund’s main goals is to provide gifted children with the means to realise their artistic potential. When you witness the brilliance of talented young people like Daniel, you understand the power that art and music can have in shaping the character of our children. In order to encourage children in this direction, I believe that the work of charities like Nadezda is essential. It was a privilege to meet Ambassador Yakovenko and his wife Nana once again. The hospitality of the organisers was unrivalled. After the concert, guests were treated to canapés in the Winter Garden of the Residence, where, I am told, Winston Churchill himself used to enjoy the odd glass of vodka! 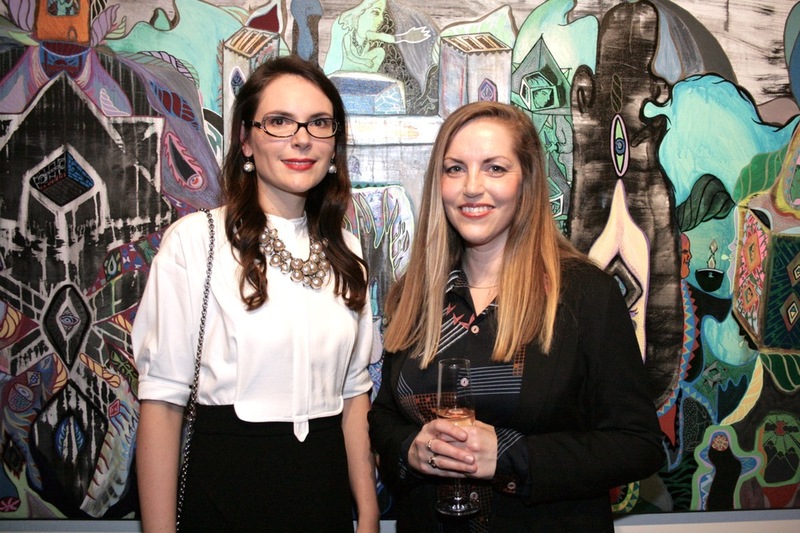 The private view of Gallery Elena Shchukina's latest exhibition took place on Wednesday 10 February. Surreal Universe, a collection of pieces by Danish artist Ida Kvetny, is currently on show and runs until 14 April. We were delighted that Ida was able to fly over from Copenhagen to join us for the private view. Ten per cent of all sales from the evening went towards Fond Nadezda, which benefits children from the Serov Art Academy and we also hosted a charity raffle, with a painting as the winning prize. In order to tie in with the Chinese new year, we held a talk at the Gallery on 4 February entitled Feng Shui for Prosperity, Health and Success in 2016, by the renowned Feng Shui expert Jan Cisek. He gave us so many tips and pieces of advice about making our homes and our lives clearer, cleaner and more efficient. Naturally, Jan also focused on the Chinese Year of the Fire Monkey, which begins today. He talked about the characteristics of the sign of the monkey and how this might indicate what the year ahead may hold for us and how we can make the most of its energies and opportunities. Of course it's different for everybody, but he explained how we could work out our feng shui star element depending on the year of our birth, and then see which house of the bagua feng shui 2016 chart that star element sits in – this gives you an indication of what areas of your life and personality you should focus on in the coming year. Jan also explained how the colour red is very important during the year of the monkey so be sure to wear red for an exam or an interview during this time!